Potpourri. No. Seriously. That’s what this both tastes and smells like. I like a chai latte once in a while and this is… not that. It does somehow avoid the weird chalky texture of the Vega Protein and Greens, so maybe the straight vanilla version of this will be better? But yeah. This is like blending and guzzling your Christmas Cinnamon Dreams Spice candle and maybe that’s your thing but it sure isn’t mine. It also got weirdly thick in the 40 minutes it took to drive to work. Like milkshake thick. 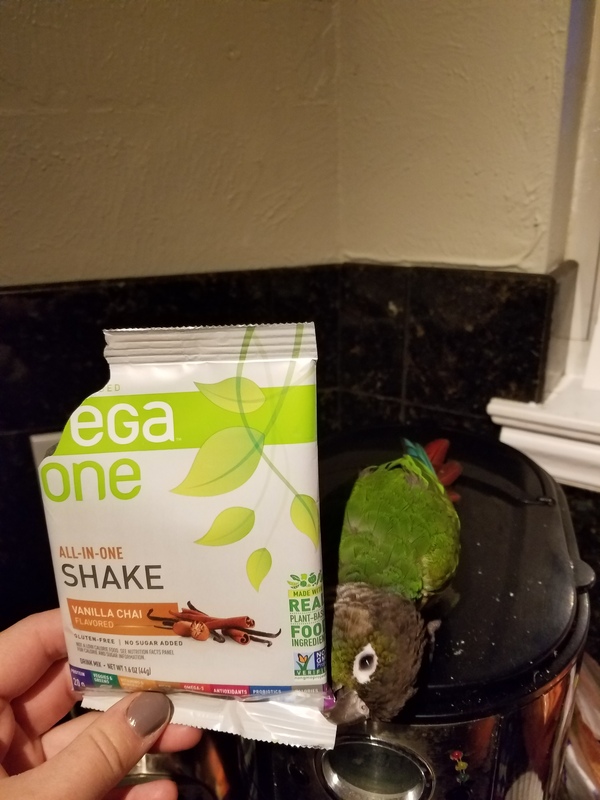 This entry was posted in Reviews and tagged fitness products, protein powder, protein powder reviews, Vega one, vega protein by TwoGreenParrots. Bookmark the permalink.